We promise these are a pair of earrings you will want to show off! We are so in love with the unique wooden detail. 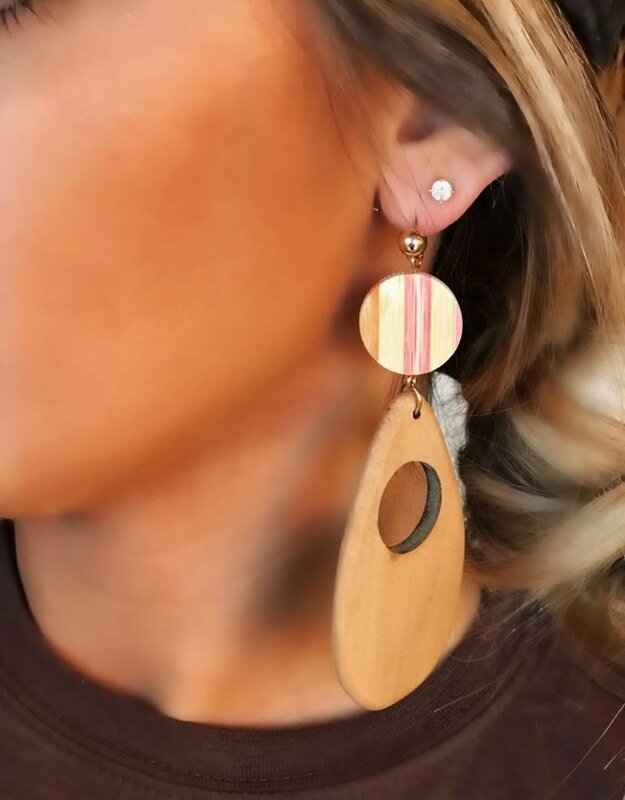 It is such a fun pair of earrings to add to your collection!